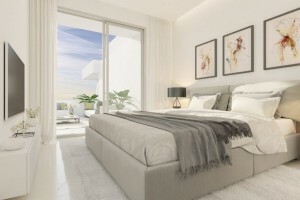 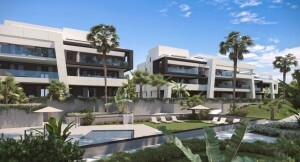 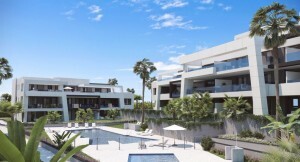 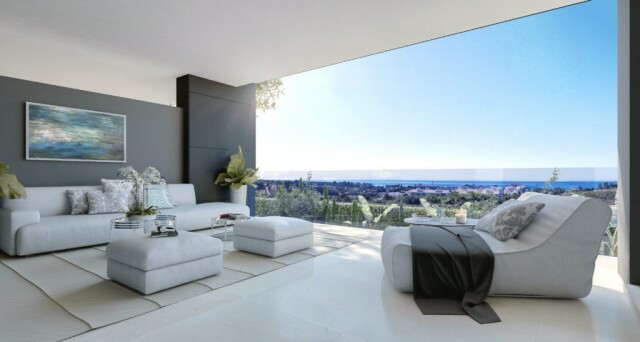 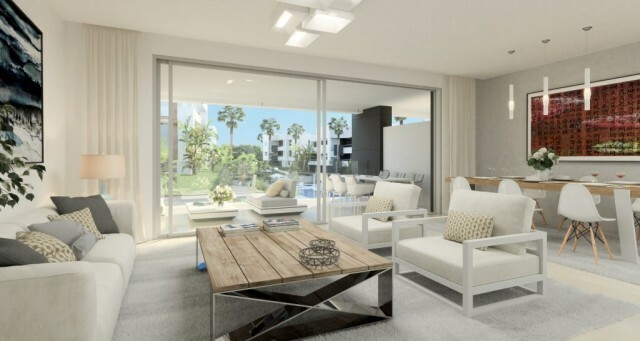 This stunning new boutique project of 72 modern apartments and penthouses set amidst stunning landscaped gardens and ideally located only 10 minutes to Estepona and Puerto Banus and 15 minutes from Marbella on an elevated plot on the New Golden Mile. 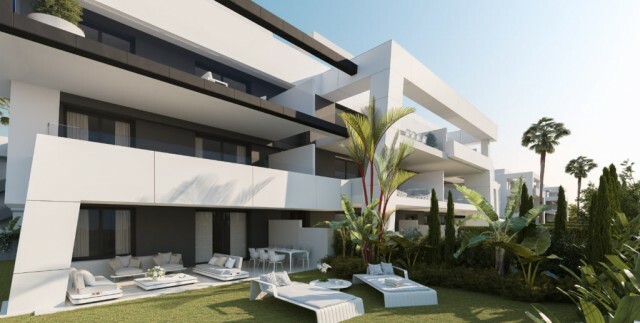 This beautiful new off plan development is surrounded by a number of golf courses including Atalaya, Los Flamingos, El Paraiso , Estepona and La Resina. 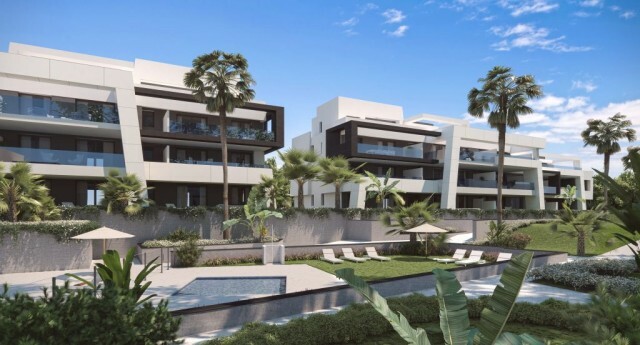 The development offers a choice of 2,3 & 4 bedroom apartments and penthouses built to the highest standards perfect for a holiday home or permanent residence with ample green outdoor areas, social club, gym and various swimming pools. 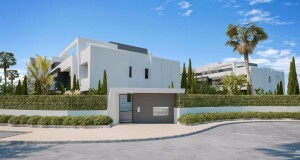 These beautiful homes offer large terraces and penthouses with solariums with views to the gardens, mountains and sea .All properties include a garage and storeroom .